Some years ago I read my first Lisa Harris book. I don't remember the title, but I do remember thinking it was "just OK". She has gone from being just OK to one of my favorite suspense authors whose books I look forward to reading. 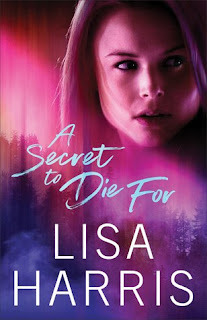 This book is her first after her awesome Nikki Boyd Series. As far as I can tell, this is a stand alone book, with no indications of it being a series. I loved the plot for this book. It involved bad guys working to shut down the power grid for the whole country, as the good guys raced to stop their evil and disastrous plan. I have read an am aware of the dangers and fallout if something like that did ever happen, so I found the book to be a fascinating read, even though it was fictional. The author did a great job on the technical jargon, and describing how such things in language easy to understand, and an awesome job on the suspense. The two main characters were very likable, and were great creations by the author. As with most books of this type, there is a romance brewing throughout the book. Even though I am a confirmed bachelor, I have come to enjoy most of these and cheer on that part of the book, as well as a conclusion to the mystery/dilemma faced by those characters. I loved the book, and found it one difficult to put down, and was only disappointed that the ending came so fast. Harris has another book she can be very proud of. Lisa Harris is a bestselling author, a Christy Award winner, and the winner of the Best Inspirational Suspense Novel from Romantic Times for her novels Blood Covenant and Vendetta. 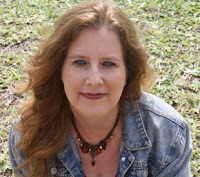 The author of more than thirty books, including Vendetta, Missing, Pursued, Vanishing Point, and the Southern Crimes series, Harris and her family have spent almost fifteen years living as missionaries in southern Africa. Learn more at www.lisaharriswrites.com. A Secret to Die for is available from Revell Publishing, part of the Baker Publishing Group. I would think it would be difficult to write a 365 day devotional on living the fruits of the Spirit, but this author has done exactly that. As with any devotional I have reviewed, I didn't read every entry, but read several throughout the book to get a good look at it....and I am impressed at how this devotional turned out. I am sure the average Christian could do better with living the fruits of the Spirit, and what better way to improve on that than reading daily about living those? The devotional is for 365 days, but is not split up into months nor labeled by month and dates. They are simply labeled day 1, day 2, etc., on up through 365. Each day starts with a Bible verse, followed by the author's thoughts, and ending with a short one-two line prayer. I found the devotionals well written and helpful. 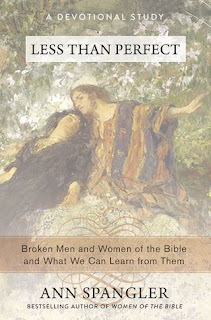 The author has come up with a great devotional that is different from others on the market, and I would recommend it. Kim Taylor Henry is a gifted writer, frequent contributor to Daily Guideposts and lifelong student of the Bible. She spent seventeen years as a corporate defense litigation attorney and eight years a vice president of human resources at two major corporations. Kim has three grown children and five grandchildren and lives with her husband near Denver, Colorado. 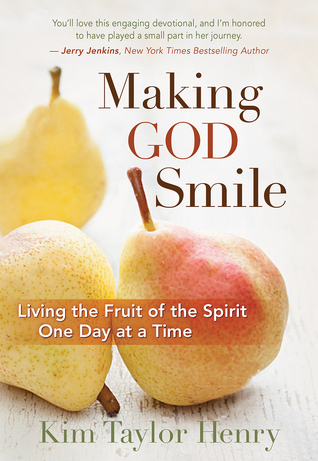 Making God Smile is available from Worthy Publishing. When Wendy Harper inherits her family's beach-side cottage in Seaside, Maine, she sees it as a way to finally pay off the debts that have mounted since her husband died. But before it can be sold, the neglected property must be renovated. She and her 12-year-old son Jackson move in--temporarily, she reminds him--in order to do the work themselves, even though Christmas is coming. The charming town, along with local craftsman Caleb Colton, pulls on both Wendy and Jackson, who even registers himself for school in a bid to get his mom to move them there permanently. Wendy knows that the most responsible thing to do is to sell the cottage and return to Ohio, but the lure of the sea is hard to resist. I have come to equate a great Christmas story with Melody Carlson. She has been writing a Christmas novel every year for several years now, and I have a shelf containing those books. It may seem odd to be reading and reviewing a Christmas book in September, but there was no way I'd pass up a chance to review her newest Christmas novel. I would rather have read it closer to Christmas, but the review dates are this month. Of all of her books I have read, I find this one to be her best one yet. It is possible there are aspects of the book that made me like it even better. The setting is a beach house by the ocean, and I love the ocean and have vacationed there several times. Granted, I have no desire to be there in the winter, but it still made a great setting for the book. I am also a sucker for a book with kids in it, especially a fatherless young boy. 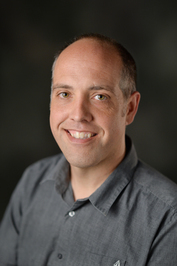 Carlson did a great job on creating his likable character, along with the other main characters. The book actually takes place before Christmas, a week before Thanksgiving, and the time after. There is a lot of talk about Christmas, and much decorating for the holiday also. The town in the book sounds like a delightful place to live, whether or not it is modeled after a real town or not. I thoroughly enjoyed the book, though the whirlwind romance was was too fast to happen in real life...though I did love the ending and how it was all wrapped up. A great read indeed. Check out her website: MelodyCarlson.com. 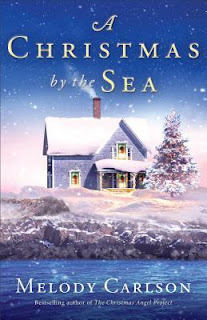 A Christmas by the Sea is available from Revell, part of the Baker Publishing Group. It is all too easy to get addicted to a multitude of things today, but it can be really difficult to get rid of those same addictions. 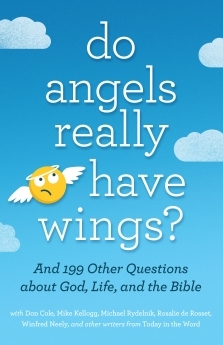 I am a firm believer in prayer and God's help, but these things are still hard to battle, so it is good to have books out there on issues one struggles with to get some additional help and advice. I have read and reviewed other books along the lines of this one, but I found this one to do a better job than most. The author seems to really know his "stuff", and approaches it from both a professional and compassionate standpoint. Among other things, the book addresses how and why addictions can happen, then goes on to the how's of getting rid of an addiction. 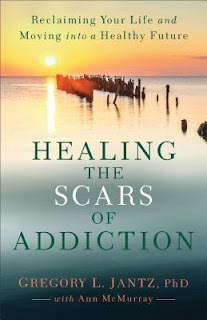 I found the book very well written, and containing a lot of helpful material and advice for those battling addictions. 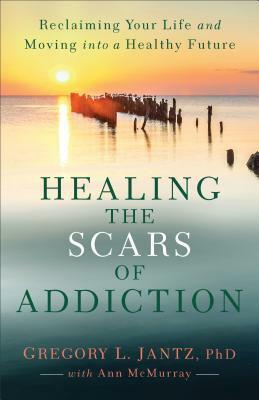 Healing the Scars of Addiction is available from Revell Publishing, part of the Baker Publishing Group. I'll admit this book sounded a bit weird to me, but I requested it because it also sounded interesting. And it is a bit weird, but a good weird. 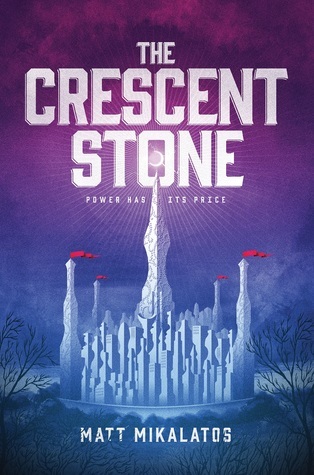 This is a fantasy novel written for teens, but I have found that books written for teens can be very enjoyable reads, and this one definitely was. I would put this book in the category of the Chronicles of Narnia. As with the Narnia books, one can spend too much time trying to find spiritual applications and allegorical truths where there are none. I simply read the book, and enjoyed it. That is not to say there are not truths and lessons to be learned and gained from reading the book. There definitely are....such as Jason's intense determination to always tell the truth, no matter what. The author came up with a great imaginary land to set his book in, along with a vast array of people and races that are in that land. Then he tossed two human teenagers into that land who had no clue as to the rules and what was really going on in that land. There were indeed many surprises in the book, and not is as it seems in the Sunlit Lands. The Chinese teen Jason absolutely made the book. Madeline is intended to be the main character, but the book would not have been nearly as entertaining and interesting without his antics. With his determination to tell the truth no matter what, coupled with his reckless habit of doing and saying the wrong thing at the worse times made me laugh out loud often while I was reading. He may be one of the funniest characters I have ever run across in all of my years of reading. I loved his antics and his fierce loyalty and determination to his friends. I would not call this a Christian book in the terms of the ones I usually read, but it is a great clean fantasy novel that has Biblical truths and lessons throughout it. I am hooked, and am looking forward to the next book in the series. This is a fantasy novel that stands above most I have read. The Crescent Stone is available from Tyndale Publishing. What can the Bible’s most flawed men and women reveal about who God is and how he reaches out to less-than-perfect people? In Less Than Perfect, bestselling author Ann Spangler takes us beyond cardboard cutouts of 38 biblical characters to show us how these were real individuals who had dreams, temptations, and weaknesses just like us. Whether considering the murderous Herodias, the scheming Jacob, or the doubting Sarah, Spangler approaches both familiar and lesser known characters with fresh eyes. We meet each of these individuals again as if for the first time as Spangler offers a dramatic retelling of their lives, insight into the historical and cultural context of their time, and key takeaway points for our lives today. Each chapter includes questions for discussion or reflection, making Less Than Perfect ideal for individual or group Bible study. Entertaining, informative, and inspirational, Less Than Perfect gives you a big picture view of the Bible even as it takes you into the hearts and minds of people with struggles just like yours. As you learn more about the individuals who are part of your spiritual family tree, you’ll discover why God loves to use imperfect people to tell his perfect story of redemption. I have read a few of Ann Spangler's books, and also have the Names of God Bible which she was the editor for. I have been impressed with what she has written, and really enjoy the Bible. When I saw this book for review, I knew it was worth reviewing. I am honest in my reviews, so I will admit I don't like the cover of the book very well. This was a case of not judging the book by its cover. Had I not read books by the author before, I may have passed....which would have been a mistake. The book covers 30 people from the Bible, some good and some bad. Delilah and Jezebel are covered, and also people like David and Mary Magdalene. Each chapter is a different Bible character, and starts out with at least one verse about the character. The author then relates the story of the person, with Bible verses on the side throughout. Next is the "Times" section. It gives the approximate dates of the story, and where in the Bible it appears. It also gives some details about the setting and customs of that time. The Times section is followed by the "Take Away". It consists of some questions about the story, and some are personal questions to do with the reader based on the story. This is a great and interesting book that shows what Bible characters did wrong, and how we can learn from their mistakes and lives. It would make a great Bible study for a group, or even a 30-day devotional. It is well written, and the author brought out a lot of interesting points and questions. 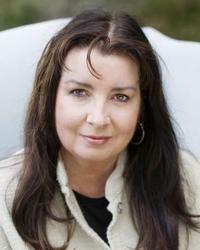 Ann Spangler is an award-winning author, publishing her first book, an instant bestseller, in 1994. Since then, she has gone on to write several bestselling books, including Women of the Bible (co-authored with Jean Syswerda), Praying the Names of God, Praying the Names of Jesus, and Sitting at the Feet of Rabbi Jesus (co-authored with Lois Tverberg). Her latest book is Praying the Attributes of God. Together her books have sold millions of copies. In 2013 she was named the Logos Bookstore Author of the Year, an award given to an author "whose body of works exemplifies the power of books to change lives forever." By paying attention to the spiritual and emotional hungers that animate us and by finding creative ways to explore God's self-revelation in Scripture, her writing surprises by revealing a God who is often far bigger and better than we might imagine. 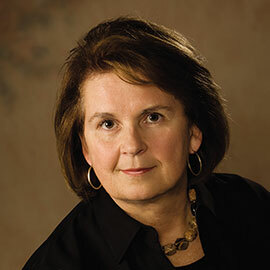 In addition to writing, Ann has enjoyed a lengthy career in Christian publishing, working for William B. Eerdmans Publishing Company, Servant Publications, and Zondervan Publishing in marketing, editorial, and management roles. 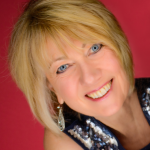 Her broad experience in publishing has convinced her that readers are looking for well-written books that explore the connection between spiritual experience and everyday life, books that both engage the mind and strengthen the heart. Less Than Perfect is available from Zondervan Publishing. We all have questions, even if we don't know how to find answers. 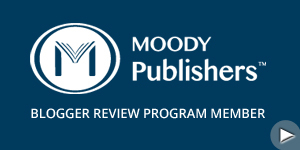 Over the last 30 years, Today in the Word from the Moody Bible Institute has taken questions from people all around the world and published a few of them each month with answers from reliable Bible experts. Do Angels Really Have Wings? is a collection of the most repeated, most intriguing questions (with a few lighthearted ones too). These questions are then answered by trusted Christian voices like Don Cole, Mike Kellogg, and Rosalie de Rosset. Whether you're curious about Christianity or have been in the church since you were in diapers, this book is a great place to start exploring some of your own questions about God, life, and the Bible. I thought this sounded like an interesting book to review, and I was right. There are 200 questions in all, from serious ones on sexuality and dating, to not so serious ones like "did Adam have a belly button?" The book is not just an interesting read, but also a fun read. It is a great book to read a page or two, and then pick it up for a few minutes later. I found the answers well thought out, though I didn't always agree 100% because of theological differences, such as predestination....so if you read the book, keep in mind that though the book is interesting and fun, you may have some differences with the answers to some of the questions. I did enjoy the more fun questions, and as long as I have been around the church, there were some things asked that I did find the answers helpful....so I definitely recommend the book. I have read a few books about/by Muslims who converted to Christianity, but this is the best I have read, and is likely the best that has been written. This is an amazing story, and very well written. The author tells a lot about his childhood and what it was like to grow up Muslim, and what it was like to be a Muslim in America on and after 911. He gives an interesting look at not only the teachings of Muslim, but how steeped they are in their beliefs and what it means for a Muslim to leave their faith and become a Christian. Slight spoiler: I found it fascinating how dreams were used by God to bring Nabeel to the Christian faith, and have read that it is fairly common for Muslims who have become Christians. One thing that really stood out to me in the book, was Nabeel's Christian friend David. There were four friends who hung out at college: David the Christian, Nabeel the Muslim, a Hindu, and an atheist.......and all 3 of the non-Christians came to Christ, largely because of the influence of David. I did previously read the original book, and I found the added content very interesting. Of all the extra content, I especially found the part where it relayed how Nabeel told David of his decision to become a Christian, and of how his parents found out about it. It is sad Nabeel left this earth at such a young life. God was truly using him, but his story and legacy will live on. Nabeel Qureshi was the author of the New York Times bestsellers No God But One and Seeking Allah, Finding Jesus, the only book ever to win Christian Book Awards for both "Best New Author" and "Best Nonfiction." 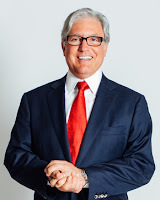 Nabeel was an accomplished global speaker and held an MD from Eastern Virginia Medical School, an MA in Christian apologetics from Biola University, an MA in religion from Duke University, and an MPhil in Judaism and Christianity from Oxford University. Raised as a devout Muslim in the United States, Nabeel grew up studying Islamic apologetics with his family and engaging Christians in religious discussions. After one such discussion with a Christian, the two became friends and began a years-long debate on the historical claims of Christianity and Islam. 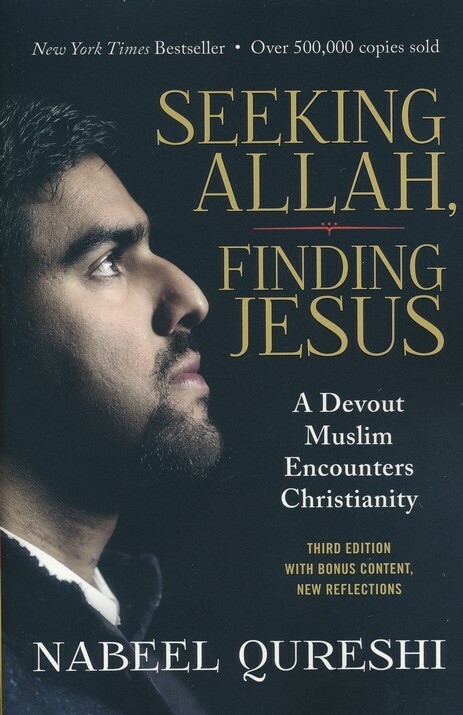 Nabeel chronicled his resulting journey in his first book, Seeking Allah, Finding Jesus. Throughout his years of ministry, Nabeel lectured to students at more than 100 universities, including Oxford, Columbia, Dartmouth, Cornell, Johns Hopkins, and the University of Hong Kong. He participated in 18 moderated, public debates around North America, Europe, and Asia. Christianity Today heralded Nabeel as one of “33 Under 33” in its cover story on emerging religion leaders in July 2014. 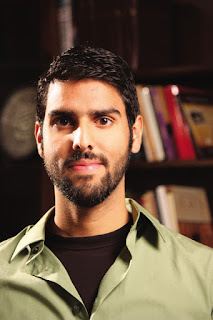 Other works of Nabeel's include Answering Jihad—a balanced examination of jihad, the rise of ISIS, and Islamic terrorism—and the Seeking Allah, Finding Jesus Video Study, which goes deeper into the apologetics that led Nabeel himself to Christ. Following a year-long battle with stomach cancer, heaven welcomed Nabeel home on September 16, 2017. He leaves behind his wife and young daughter who aspire to honor the ministerial legacy Nabeel established during his brief 34 years on earth. 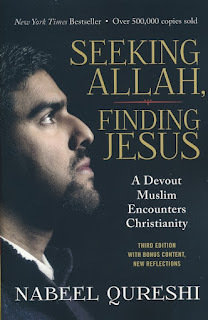 Seeking Allah, Finding Jesus is available from Zondervan Publishing.